Succulents in the garden can be a wonderful addition being almost indestructible and beautiful. A succulent is any plant with thick, fleshy leaves that store water in the leaves, stems or roots. All sorts of shapes and patterns can be created using these plants and with a wonderful range colours they can make your garden look fabulous all year round. Succulents include Aloe and Cactii. These are great for gardening beginners and those with experience and they are low maintenance during the colder months which is always a plus. Contrary to speculation Succulents DO need to be watered when in their growing season. They will grow throughout spring/summer and it is important that you water them judging on the soil around them. These simple rules apply; in spring/summer if the soil around them is dry you should water them, if the soil is moist or damp they do not need to be watered. Succulent growth lays dormant from late autumn to early spring and as part of the cactus family they can hold on to water so do not need watering like other plants. Don’t forget – Watering Succulents daily will kill them. Succulents prefer bright light but some species should be kept out of direct sunlight in hotter months to prevent burning or shrivelling. The leaves are good indicators when looking for signs that the lighting level is correct. Fast draining mixtures should be used for soil. Make sure any planting pots used have the right drainage system or drill holes to assist. During growing season fertilise as you would other plants and cease in the autumn/winter months. 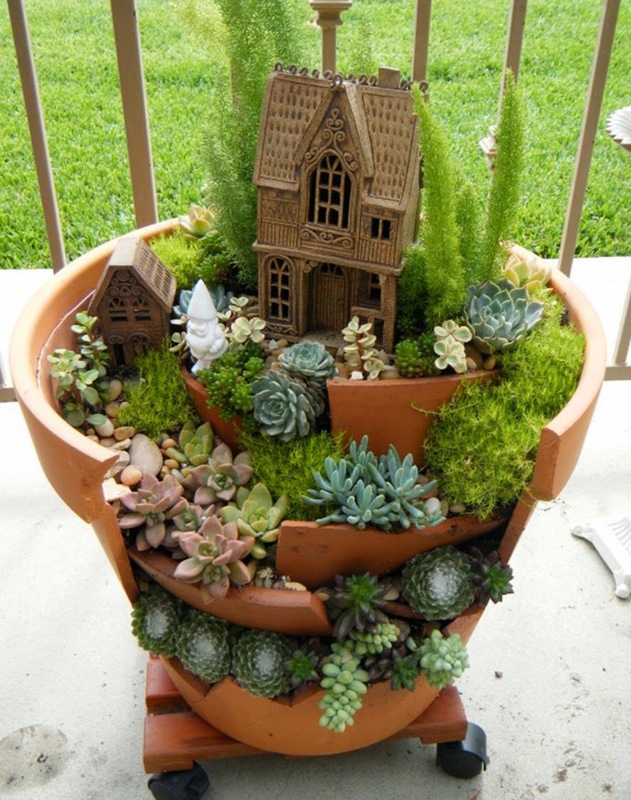 Succulents can be the most versatile plants in your garden, and can also be grown indoors – so let your imagination run away with you and see what you can create.